LOL! On 8-Track at that! 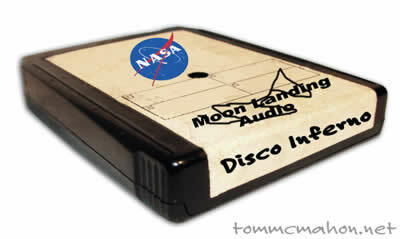 We substituted one small step for a disco step. I was watching PBS the other day when they had the fund raiser special which included The Trammps. They had lost the cool outfits from the video, but they were fun to watch. I did like the Steppenwolf performance on another special. When I used to see James Taylor and Peter, Paul, & Mary on PBS, I realized that performing on PBS meant that you had become a has-been.